Find locally grown or produced foods at this new farmers market. 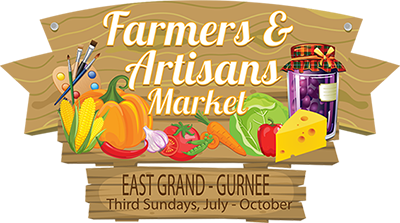 Find delicious eats, baked goods, honey, and jams, as well as handmade wares such as arts, crafts, ceramics, soaps, jewelry, and more. Enjoy music, children's entertainment, and food from local restaurants. Plus, the Gurnee Police Department will offer free child safety seat inspections at each event.